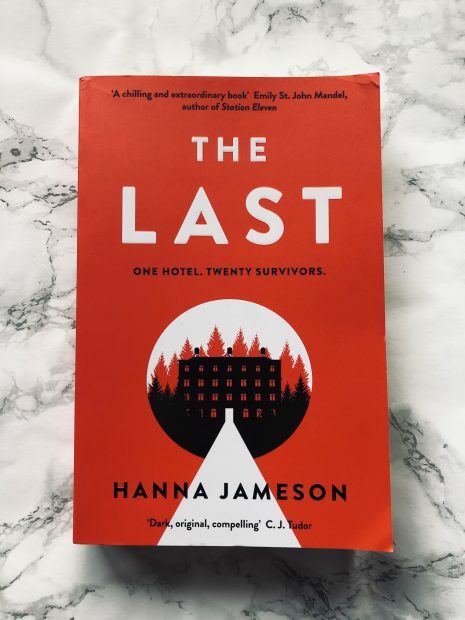 Brace yourself for the end of the world through the incredible new post-apocalyptic thriller, The Last by Hanna Jameson. BREAKING: Nuclear Weapon detonates over Washington. Historian Jon Keller is on a trip to Switzerland when the world ends. As the lights go out on civilisation, he wishes he had a way of knowing whether this wife, Nadia, and their two daughters are still alive. Twenty people remain in Jon’s hotel. Far from the nearest city and walled in towering trees, they wait, they survive. Can we just stop for a second and seriously considering this happening?? Because as soon as the reading was underway, I was saying ‘nope’ basically every other page. The Last puts you in a situation you can never even imagine and is very thrilling. It’s split up by days which follow chronologically from day 3 (after the end of the world), which makes for an incredible reading experience. You’re thrown straight into the deep-end, and each chapter is a documentation via Jon in first person. I am well and truly fond of this book however I wish the ending was different. I ADORED the last page and how it all concluded, but it’s tough to say what I want to say without giving spoilers. It’s definitely more of a me-thing than an actual problem with the book. I wouldn’t necessarily say this is a mystery which is what it’s marketed as, but focused more on the psychological side of the characters; this is where you’re really dragged in. There were moments where I was like ‘uh oh’ and cared for their welfare. I did see someone say it’s a mix of Stephen King and Agatha Christie, but I wouldn’t say this is actually true. You have a slight relation to The Shining and a ‘who dunnit?’ vibe, but I’d say that the focus should’ve been more on one than the other. I would’ve liked it a little bit scarier and focused on one aspect a little bit more, but I can totally see Netflix coming in and working their magic. The scary aspect here is definitely questioning whether this could happen and trust me when I say that I’m 110% brushing up on my survival tactics now. The Last is a good book to make you question your own standards, and what you would do in a situation where there were only so many survivors, all from different backgrounds. There was one part which really hit hard, as it came down to lots of people voting and passing blame, which is relatable, especially in the UK’s current situation. This book was like a sample-size piece of chocolate which you wanted to savour, but then just end up cramming it all in your mouth/ reading so much more than you expected. There were just a few parts which didn’t hit the jackpot for me.